It’s a fairly well-supported idea that praise is actually a bad thing these days. We're told you shouldn’t praise toddlers, or children, and certainly not employees – in fact some even think that employees should be wary of bosses who praise them. 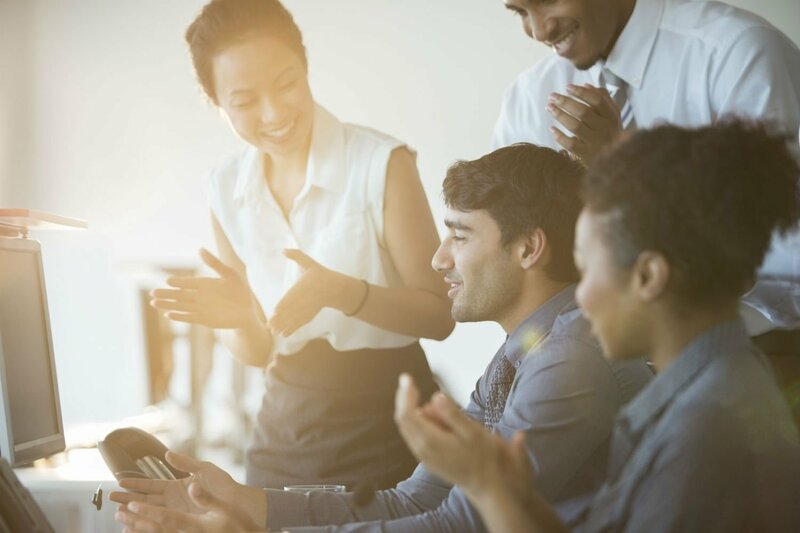 But, new research from Harvard Business School suggests that praising employees might actually be a boost for productivity. And that's certainly the opinion of Richard Branson - he says: "People respond far better to praise and encouragement than blame and criticism." The study looked to discover how being told that they have done something wonderful affected employees, finding that when people were reminded of their best work, they had more creativity and less stress. "In our study we implemented a tool that is called 'reflected best self exercise', which was originally developed by the University of Michigan scholars," one of the study authors, Dr Jooa Julia Lee, explained to Forbes. "This narrative-based exercise allows employees to learn about their positive impact and contribution to others through the eyes of their social network (family, friends, colleagues etc). Our study found that activating one’s best self concepts via reflections (which was done as part of corporate onboarding) can predict better performance outcomes and reduced emotional exhaustion and turnover, one year after the onboarding." In the study, participants visited the Harvard Decision Science Laboratory and were given problems to solve. Half of the participants were told to ask their family and friends to send them an email just prior to their participation that described a time when they were at their best. Those who read the positive statements about their past success were more creative in their approach, more successful in their problem-solving and less stressed than their counterparts. One of the problems that they had three minutes to solve was Duncker’s candle problem. More than half of those who had read about the positive statements before the task were able to successfully complete it, whereas only 19 per cent of those who did not receive the ‘best-self activation’ emails were successful. Those who received praise were also significantly less stressed than the control group. Research shows that customary evaluations can be detrimental to a company’s overall health. But if you’re going to do them, then make sure that employees are praised during them and through ‘best-self activation’ productivity should increase. Encourage your staff to anonymously drop notes into a box sharing moments when they’ve noticed someone doing something extraordinary – even if it’s not something directly related to work. Share some of these stories at regular meetings. A quick email or just a few kind words can give employees a quick boost and help them keep going. "My hunch is that good leaders should inspire and empower," Dr Lee says, "rather than managing based on fear and anxiety."